Should Adam modify his plan? Is the Man with a Plan TV show cancelled or renewed for a third season on CBS? The television vulture is watching all the latest TV cancellation and renewal news, so this page is the place to track the status of Man with a Plan, season three. Bookmark it, or subscribe for the latest updates. Remember, the television vulture is watching your shows. Are you? Airing on the CBS television network, Man with a Plan stars Matt LeBlanc as a contractor named Adam. The cast also includes Liza Snyder, Kevin Nealon, Stacy Keach, Grace Kaufman, Matthew McCann, Hala Finley, and Matt Cook. When Adam’s wife, Andi (Snyder), returns to work, this old-school dad has to step up his home game with the kids and finds it harder than he thought possible. Meanwhile, he’s trying to run his business with his brother, Don (Nealon), and put up with bad advice from his father, Joe (Keach). Aside from Andi, Adam’s best ally is his friend, Lowell (Cook). Still, he’s determined to “nail” this job. The second season of Man with a Plan averaged a 0.99 rating in the 18-49 demographic and 5.77 million viewers. Compared to season one, that’s down by 21% and down by 9%, respectively. Find out how Man with a Plan stacks up against other CBS TV shows. Man with a Plan has been renewed for a third season which will debut February 4, 2019. Stay tuned for further updates. Will CBS will cancel or renew Man with a Plan for season three? Its ratings were only fair to middling in season one and they’ve dropped in year two. While the numbers should be higher, I think Man with a Plan will land a second season renewal because CBS has several other lower-rated sitcoms. I’ll update this page with breaking developments. Subscribe for free alerts about Man with a Plan cancellation or renewal news. *5/12/18 update: CBS has renewed their Man with a Plan TV show for a third season. Details here. TV show ratings are still important. Follow Man with a Plan‘s weekly ups and downs. Find more Man with a Plan TV series news or other CBS TV show news. What do you think? Are you glad that CBS has renewed its Man with a Plan TV show for season three? How many more seasons do you think this TV series has in it? Man with a Plan on CBS: Cancelled or Renewed for Season Four? 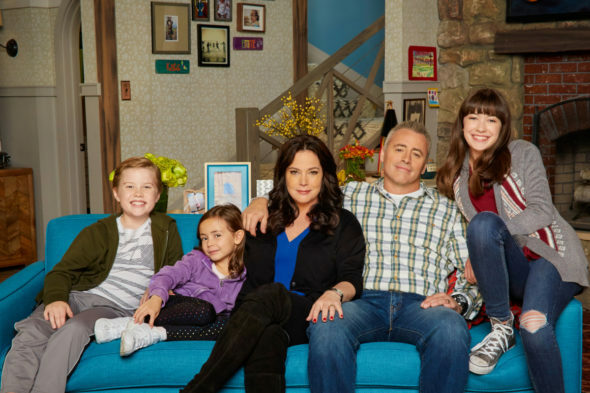 Man with a Plan: Has the CBS TV Show Been Cancelled or Renewed for Season Two? We love Man with a Plan. It has great humor – Please renew. We need more laughter in this world. I think man with a plan is bringing back on Monday for a season 3. My husband and I love Man with a Plan! It’s one of the funniest shows on tv. Matt Leblanc and Stacy Keach are hysterical together! Please renew it.